Company Hi-Tech Home Apartments offers to "do" winter in Saint-Petersburg and represents to your attention the digest of events the end of February. That was a big part of winter. Less than half of February already and spring is not far off. The sun is slowly starting to warm up the Northern hemisphere, the day is getting longer and days where the sun shines brightly, becomes greater. Lots of holidays and weekends. Of course, the last feast in February is February 23. This year the February weekends are quite long and will last four days. Then will come March 8 and although the gala day will be in the middle of the week this does not mean that it cannot be conducted with advantage and even with romance. this year's Winter in Saint-Petersburg a real. The frost, snow and temperatures below zero. The weather in recent years, rare. The usual case of zero temperature, mud underfoot and cloudy weather which only one of longing and depression. This winter season the exception. All guests of the Northern capital city the weather forecast will meet only in winter. For those who decide to visit the city on the Neva river in these days, we can recommend a few in our opinion interesting events. the defender of the Fatherland day on February 23 will be held various activities both in the city and beyond. At the Palace square in this year's parade involving troops and equipment the North-Western military district, most likely, will not be held. The evening will only lit the Rostral columns, and at 21:00 will be modest by standards of St. Petersburg fireworks. 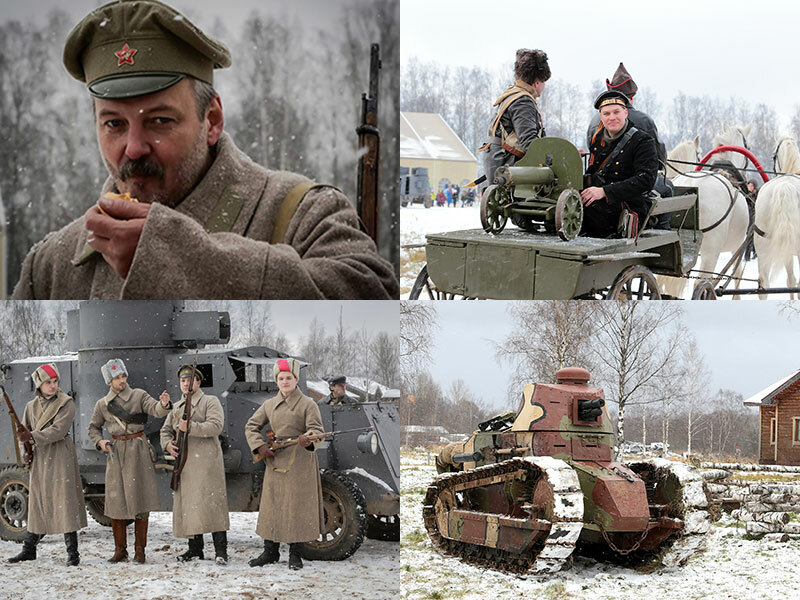 But maybe outside the city or in the Park, at the Ice Palace, exactly where the organizers have not really decided, will take place military-historical reconstruction "In Petrograd" is dedicated to the events of 1918. In the birth of the Red (Soviet) army. The reconstruction will involve the armored car, which will be possible after setting a ride for a nominal fee of 200 rubles. 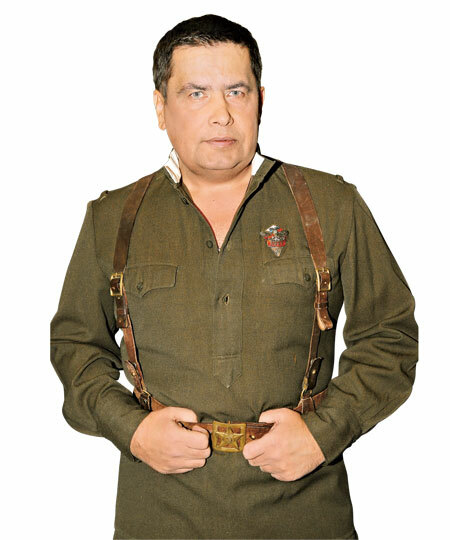 As the actors will feature three warring sides: the red army, the army of Imperial Germany and the whites. Will be something to see. Details can be found by going to the page group contact https://vk.com/event88837080. In this year the centenary of the February and October revolutions. for many centuries in Russia see off the winter carnival. This is not an official holiday is celebrated still baking pancakes, fairs and folk festivals in the fresh air. In different parts of the city will be held festive celebrations and eating pancakes. Among the many places you can celebrate Pioneer square, opposite the Spectators, Peter and Paul fortress, Gorky Park. Kirov. The event will be celebrated February 18, first in Pioneer square, and then on February 25 at the Palace-26th February on Elagin island. Expected performance of various musical groups and on hare island, even the traditional fisticuffs! Will finish the pancake week the burning of effigies of Winter. For those who want to eat more food and spiritual can recommend to visit the exhibition, which is now in the Saint-Petersburg Museum of theatrical and musical art under the name "Mikhail Shemyakin. Artist and theatre", Ostrovsky square D. 6 . The ticket price is very affordable from 50 to 100 rubles. Creativity Simakina contemporaries estimated not quite clearly, but to take the time to look at his work still stands. this year marks the 200th anniversary of the birth of Ivan Aivazovsky and in the Benois wing of the Russian Museum passes exhibition his work. 26 Feb at 19:00 at the ice Palace will take place concert of "lube" dedicated to the 60th anniversary of the soloist of group Nikolay Rastorguev. Lovers of outdoor activities we can recommend extreme travel ATV. Such a discount service offered by the company Spotrepair club "fast and furious. If you want you can even go through the free test drive on ATV, which offers motorcycle SpaceMoto. Suddenly will appear the desire to buy this "iron horse". whatever You choice is not made on the weekend and holidays, company Hi-Tech Home Apartments will always shelter You in Saint-Petersburg with comfort. We Are Waiting For You.